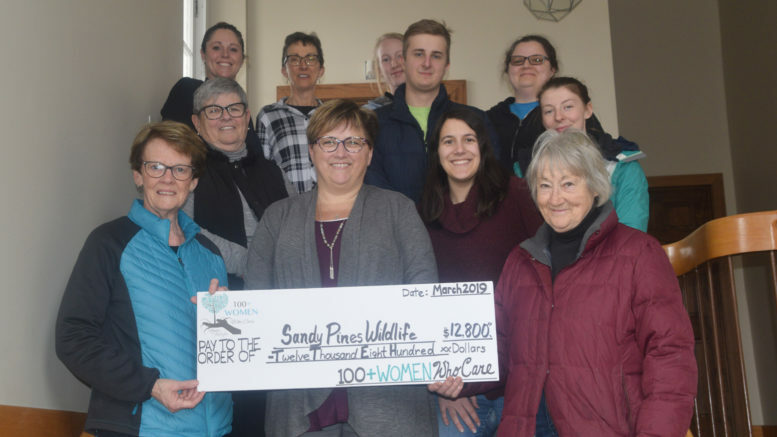 Sandy Pines Wildlife Centre was the recipient of 100+ Women Who Care's quarterly donation of $12,800. Club members Mandy Stapley, Marg Isbester, Deb Lowry, Lori Morris and Michelle Kennelly present the cheque to SPWC executive director Sue Meech, with SPWC interns in the back row. The money will be used to fund a wildlife educational program for local schools as well as to fund the new aquatics centre. Photo by Adam Prudhomme.